The outfit for this weekend is all about mixing textures for winter, from the glittery shoes (obsessed!) 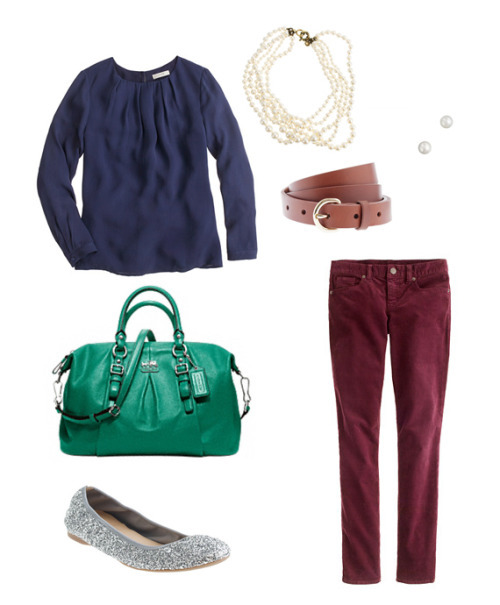 to the warm cords and the airy chiffon blouse, not to mention pearls and a fab green handbag thrown in for good measure. I'd wear this outfit to lunch, or even as a casual Friday option.